Academic publishing often forces one into the unappreciated but necessary job of Killjoy. It comes with the territory of challenging convention and shoveling the cultural/historical b.s. out of the barn. Having stated such an attitude, we perhaps will not surprise you by remembering last Monday as Indigenous Peoples Day rather than Columbus Day. No offense, except to him. Over the years UIP has consistently published books in the field, covering issues related to indigenous peoples around the globe, in the United States, and in Illinois. Located in southwestern Illinois within sight of St. Louis, Cahokia was North America’s largest pre-Columbian city outside of the Valley of Mexico. A precisely planned community, the city reflected the Cahokian concept of the cosmos. Its centerpiece, the ten-story Monk’s Mound, surpasses even the storied architecture of the Mexica (Aztecs) and Maya in size. Early European explorers and settlers, unable to believe “primitives” capable of such architecture, believed the mound city the work of some unknown, non-Indian race, with refugees from Atlantis a leading contender for top conspiracy theory. 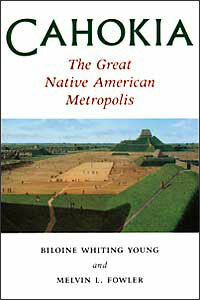 In this classic book, Biloine Whiting Young and Melvin L. Fowler relate what we have learned from the extensive architectural study of Cahokia. They also tell a compelling modern tale, delving into the lives, personalities, and conflicts of the men and women who excavated and studied the ancient city, and the long struggle to protect the site from the encroachment of interstate highways and urban sprawl. A dancer and member of the Oklahoma Choctaw, Tara Browner opens up the fascinating world of the pow-wow for the general audiences who have enjoyed it over the decades. Heartbeat of the People dispels stereotypes while portraying the pow-wow as a complex, much-varied, multifaceted phenomenon, one that continues to shift and transmute in the present day. 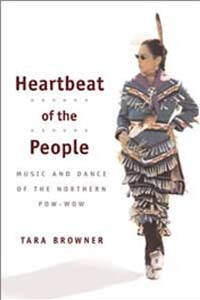 Browner’s insider’s perspective invites an immediate intimacy with the dancers who people the pow-wow’s subculture, while her scholarship provides a detailed look at everything from the music to the regalia featured in these vital cultural events. One of our most acclaimed recent titles, Wampum explores a fascinating barometer of every human civilization: its money. You may be shocked to learn that fledgling colonial currencies assimilated much more from Native American trading practices than they imposed on the locals. 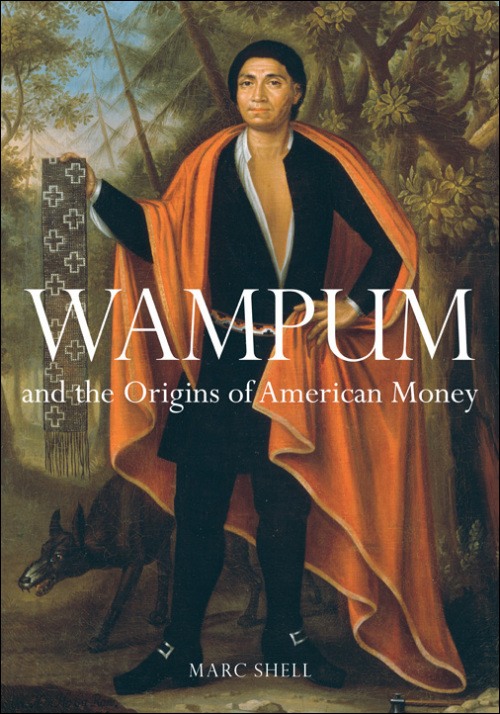 Indeed, colonists expressed fears of “becoming Indians” in their widespread use of paper money, a novel economic innovation they had adapted from wampum. Marc Shell describes how money of many kinds circulated in the colonial period and the early history of the United States. Wampum itself—in general, tubular beads made from clam or conch shells—was far more than a primitive version of the dollar bill. It represented to both Native Americans and colonial Europeans a unique medium for negotiating language, art, culture, and even conflict. Shell extensively illustrates Wampum with more than a hundred images of documents, artworks, and artifacts, including numerous depictions of Native Americans on paper money. Ethnomusicologist Judith Vander ventured onto Wyoming’s Wind River Reservation to speak with, and record, five Shoshone singers. Vander captures the thoughts, emotions, and individual voices of Emily, Angelina, Alberta, Helene, and Lenore, women aged twenty to seventy. 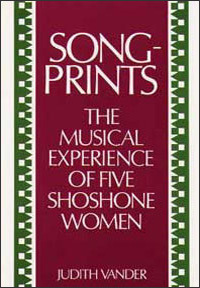 Show shows how each woman possesses her own songprint—a repertoire distinctive to her culture, age, and personality that is as unique as a fingerprint. Their song memory goes back to the Ghost Dance the Shoshone abandoned in the 1930s and the book includes transcriptions and analysis of seventy-five songs sung by these women, a microcosm of Northern Plains Indian music. UIP also offers a one-hour cassette of the women performing twenty-six songs. Prejudice against Native Americans seldom draws the attention of anti-black or anti-Latino attitudes. People from east of the Mississippi, in fact, may find it difficult to believe such a thing still exists. Elizabeth Cook-Lynn knows otherwise. 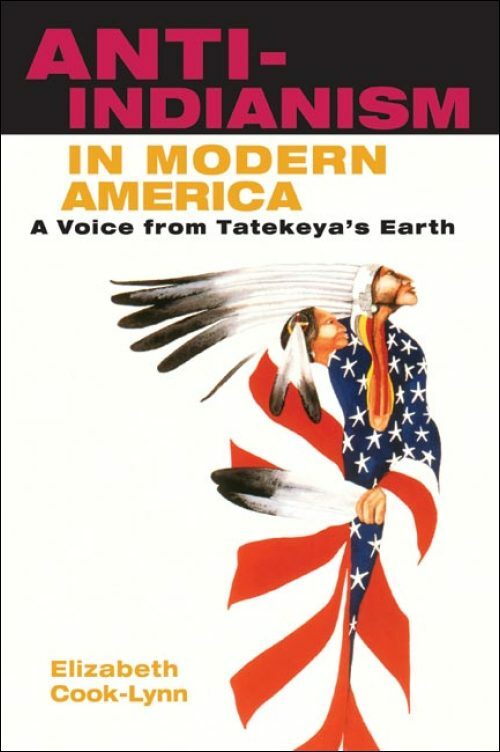 One of the founders of Native American studies, Cook-Lynn argues that the American West should be fundamentally understood as stolen, and that the fact of it remains a malignant force expressed in our modern-day treatment of native peoples, and in other ways, too. 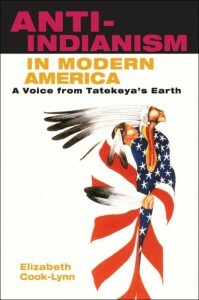 Anti-Americanism in Modern America argues that the Indian Wars of Resistance the colonial effort to seize native lands and resources must be given standing in the face of the ever-growing imperial narrative of America—because the terror the world is now witnessing may be the direct consequence of events which began in America’s earliest dealings with the natives of the North American continent. Since the story of the American West teaches the political language of land theft and tyranny, Native American studies must be considered and pursued as its own discipline, to allow the field to play an important role in defending the sovereignty of indigenous nations today.